Director of the Department of Pharmacology Int San Raffaele IRCCS Rome, Director of Research Institute for Food Safety, UNICZ Consultant at European Medical Agency Committee, for Chair in Pharmacology, Faculty of Biology, UNIVROMA 3 Rome. Full Professor, Faculty of Pharmacy, University of Catanzaro, Italy. Former External Professor of Molecular Pharmacology, University of Rome. He has authored or co-authored 61 published articles. Lead researcher of Citrus Bergamot Extract for the past 10 years. Society of Australia and New Zealand, Fellow of the Cardiac Society of Australia and New Zealand. Graduated as a Bachelor of Medicine and Bachelor of Surgery with Honours. Has presented at the American College of Cardiology Meeting. Performed the first mutiplane trans-oesophageal echocardiogram in Australia. Regular lecturer on Preventative Cardiology to a wide range of groups throughout the community. Author of seven books, including several best sellers. He has over 1,000 patients on our product and has had for some 2 years. He is a Full Professor of Cardiology at the School of Medicine Tor Vergata University of Rome. 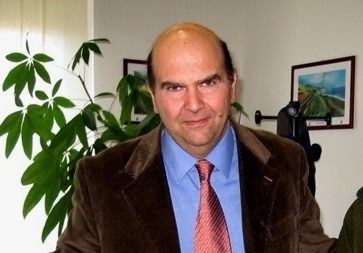 He is Chairman of the Division of Cardiology at “Tor Vergata” University Hospital of Rome. He is Adjunct Professor of Cardiology at the University of Arkansas for Medical Science at Little Rock. He is Director of the Master in Interventional Cardiology of the School of Medicine, Rome. He is the Chairman of the “Working group in Interventional Cardiology “ of the Italian Society of Cardiology. He is an internationally recognised leader in Cardiology who has produced international quality research outputs in the field of congenital heart disease, cardiomyopathy and interventional cardiology. As a physician-scientist he has focused on atherosclerotic plaque biology. In particular his studies identified the fundamental role of the oxidised low density lipoprotein receptor-1 (LOX-1) in the pathogenesis of atherosclerosis. He has conducted numerous independent studies on Bergamot over the last 5 years. He is a Clinical Associate Professor at the University of Colorado, Denver (Endocrinology) and a former Adjunct Assistant Professor in the Department of medicine at the George Washington University Medical Center in Washington DC. He is the co-founder of the Society of Atherosclerosis Imaging and Society of Cardiovascular CT. He is an active contributor to and a task force member of SHAPE- the Society for Heart Attack Prevention and Eradication. Most of his research has focused on the monitoring of subclinical atherosclerosis in insulin resistant states and in Type 1 diabetes. He has had significant personal benefit from using our product.